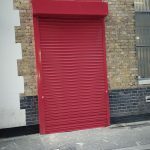 Shutterepairs provide scheduled roller shutter maintenance and emergency repair or Roller-shutter installation in all parts of London . We install domestic, commercial and industrial made to measure roller shutters. Our company has best customers services in greater London. We charge fairly and reasonably. Our engineers are strictly advised for honest opinions . We provide free advice over the phone . We are confident in what we do and once you use our roller shutter service you will never choose another company over us . We do not let customers down and communication are very clear with customers. That’s why Shutterepairs is one of the best roller shutter repair and installation company in London area.